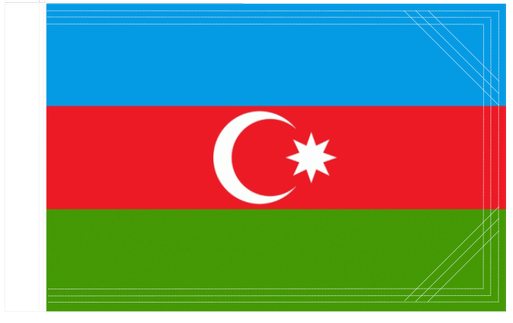 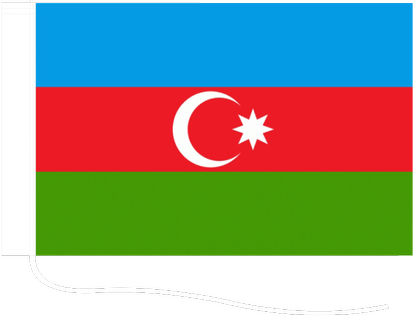 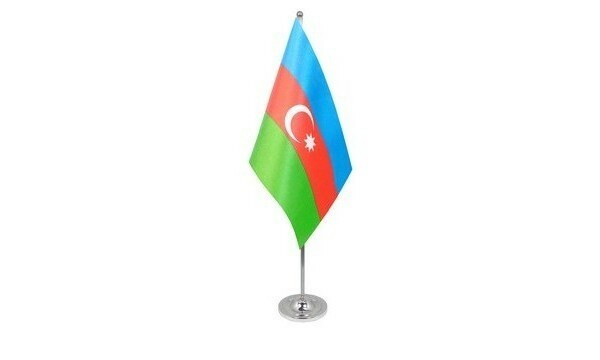 Azerbaijan became an independent state after the collapse of the Soviet Union in 1991and this year adopted a new flag with three equal horizontal bands and emblems. 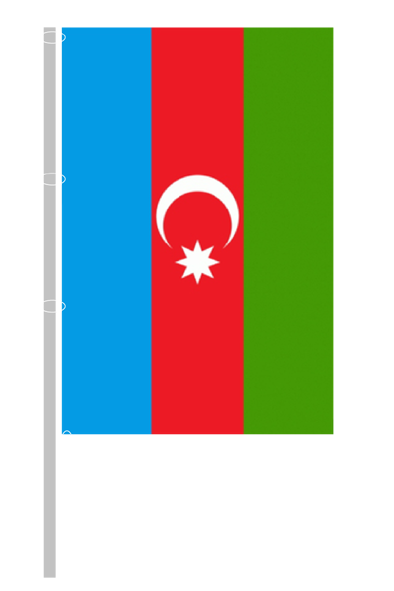 Blue represents the sky, red is the color of freedom, and green with a white crescent symbolizes Islam. 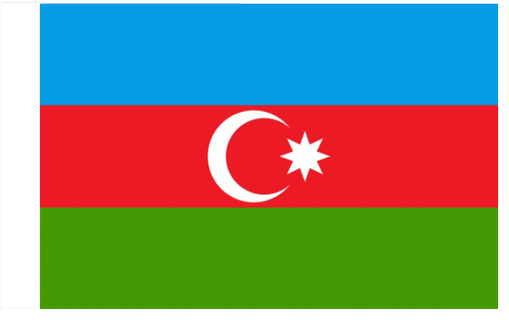 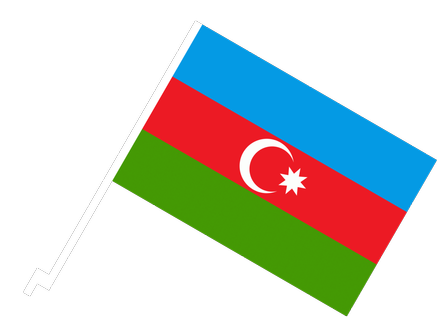 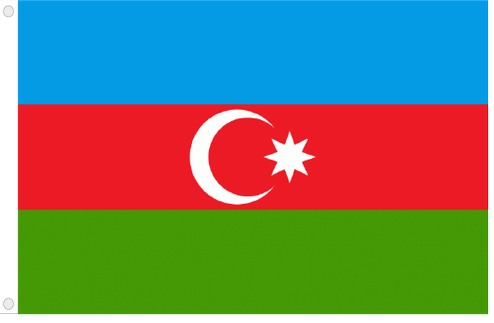 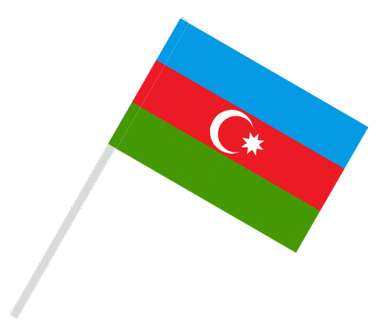 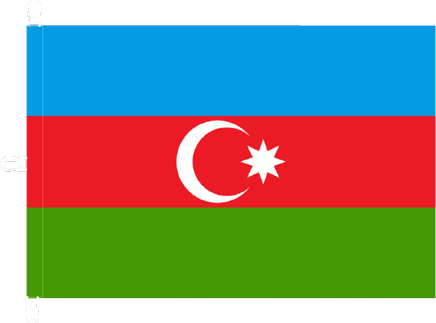 Eight-pointed white star on the flag represents eight ethnic groups living in Azerbaijan.